The Sochi Winter Olympics - a lesson in effective network management? The Sochi Winter Olympics, like London 2012 and last year's Wimbledon before it, looks set to be yet another milestone in how our consumption of both data and content is changing. These major sporting events are quickly becoming, first and foremost, digital events. A staggering 1.03m users watched last year's Wimbledon final from their tablets and the BBC Sports site reported that 64 percent of all requests came from mobile devices during the match. In addition, digital viewers of the London Olympics outnumbered traditional TV viewers for the first time. This has major implications for network infrastructure and means that sporting events like the Sochi Winter Olympics are quickly becoming the ultimate test of a network. They are also a great opportunity for organisations to learn how to deliver highly resilient, flexible, robust and scalable networks that can meet current and future demands. In reality, the challenge for the Games organisers' is similar to the one many businesses are facing in trying to turn the promise of new and evolving technologies like cloud, Big Data, Machine-to-Machine communications, Bring Your Own Device (BYOD) and seamless mobility into a working reality. Just as visitors and staff at the Games are likely to have more than one device, so is the increasingly mobile workforce and the network must be able to support the bandwidth-intense content that is in constant demand. All too often, today's emerging technologies are reliant on outdated networking technologies. These systems simply cannot cope with the pressure exerted by the exponential increase in data traffic and the number of connected devices. A radical new approach, based on fabrics, will therefore be critical if we are to truly create a world where data and applications can be accessed anytime, anywhere, from any device. 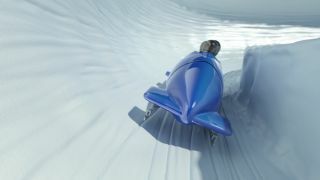 Scalability and flexibility in network infrastructure are critical to enabling organisations to service more users, applications and data – these elements will also be paramount to success at the Sochi Winter Olympics. Virtualisation in businesses is well established in the physical layer, and at Layer 2 to an extent, but it needs to extend to the network layer in order accommodate more endpoints and an 'always on' community. Network resilience is another aspect that is operationally critical at any sporting event. In the business world, mobile working, faster networks, more (virtual) data centre capacity and higher security requirements mean that a secure and reliable network is a must. In the future, Software Defined Networking will radically transform the network, unlocking its intelligence to provide the new services and powerful analytics that are needed to deliver the applications demanded by today's consumers, business leaders, customers and sports-lovers alike. While the eyes of the world will be on Sochi in the coming weeks, many IT teams will be familiar – albeit at a smaller scale – with the pressures that the network infrastructure will be under. These pressures will only increase in the years to come and businesses would do well to learn the lessons from Sochi and London 2012 if they are to stay ahead of the game.